Marking the year where disco reached the masses and bore many new offshoots and fusions, the award-winning Future Disco series celebrates with its fifth episode ‘Downtown Express’ carefully crafted by Sean Brosnan. In 2011 disco became yet more engulfed into its musical siblings. Its intrinsic sounds were in a constant state of flux, typical of the ever-changing beast dance music. The new breed of disco brought the arrival of basslines from artists such as Maxxi Soundsystem and Maceo Plex and further merged it with contemporary house music. ‘Downtown Express’ is a celebration of this that goes the distance to champion the best releases from a sea of new talent to embrace the genre such as David August, Benoit & Sergio and Tiger & Woods, who were all equally as likely to break records on traditional disco labels as they were techno imprints such as Visionquest, Crosstown Rebels and Hot Creations in 2011. These records broke the existing rules, bringing samples and elements from disco roots with their own current interpretation, in line with the Future Disco established vision. The Future Disco series is a barometer for new and future sounds, mapping connections and hinting at where the key artists are headed in relation to the wider musical movement. Joining the dots between the year’s biggest pop stars Metronomy, to new faces such as Mano Le Tough, and established artists alongside those are reaching fever pitch including Maceo Plex. ‘Downtown Express’ is a powerful 80s boogie electronic trip engulfing all on a non stop late night party vibe. 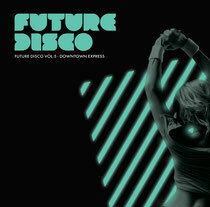 As ever, Future Disco brings together key tracks and future hits such as Miguel Campbell ‘Something Special’ (Best Track DJ Mag Best Of British Awards), alongside unheard cuts from Maxxi Soundsystem ‘There’s No Love’ and his remix of Bonar Bradberry. The mix revisits staple artists that the series gave early recognition to and have gone on to become big talents including Crazy P and Tensnake, as well as young burgeoning talent from theNeedwant family, Bonar Bradberry and Mario Basanov in his epic Metronomy remix. Now a global brand synonymous with style and substance, the Future Disco residencies continue to grow at Space in Ibiza and Ministry Of Sound in London while their one off events are gaining momentum across Asia, America and Europe. Their monthly radio show is still perceived as a voice for breaking new records to its expanding diverse audience. 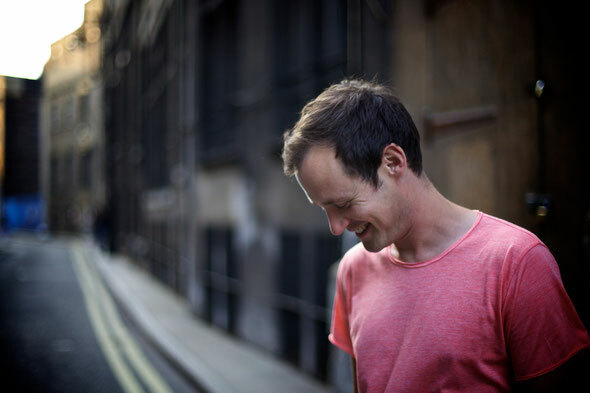 Future Disco is spearheaded by Sean Brosnan, who adds an element of delicacy and intricate craftsmanship to each episode, resulting in a discerning fusion that is indistinguishable in style and nods to the past while hinting at the future.